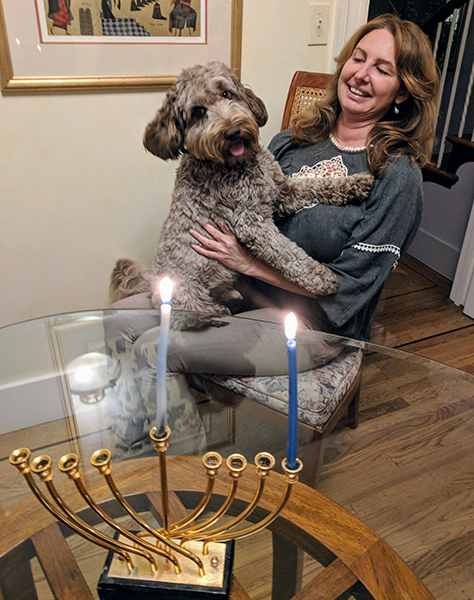 On the eve of last Sunday, December 2nd Jews around the world started the celebration of Hanukkah, which lasts for eight days, by lighting a special candle holder called a hanukiah. The holiday commemorates events which happened in 165 BC. I will not bore you with what this holiday really is, since you can read about it online; rather, I will try to share with you some of my thoughts on what it means to me, especially after our recent trip to Israel. I do not know any other country in the world which connects its history with the current reality, as Israel does. 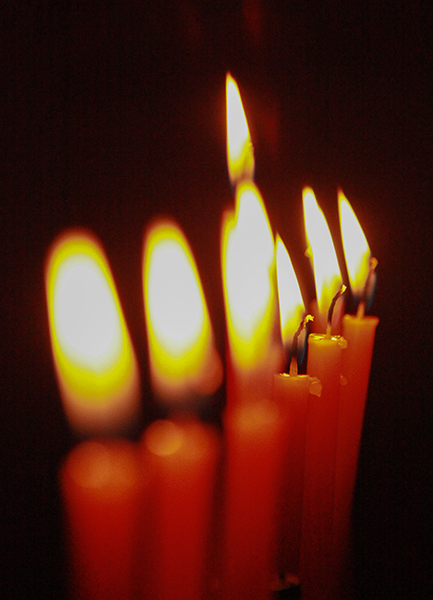 The miracle of Hanukkah happened when one crude with clean oil burned for eight days on the holy Menorah – a candelabra, which was located inside the Second Jewish Temple. The Temple was rebuilt in 515 BCE, only to be destroyed by the Romans in 70 AD. During our recent visit to Jerusalem, a friend took us to the site of the cemetery going back to the First Temple, which existed over 2500 years ago. During the excavation, archeologists found a small silver scroll. Inside, were inscribed words of a special prayer, that priests blessed people over the high holidays of Yom Kippur and Rosh Hashanah. My last name Kagan, traces me back to the priestly lineage (which goes back to the time of the Exodus from Egypt), of the “Cohanim”. As a Cohen, I am given the honor to bless the congregation in our synagogue with the same prayer, twice a year. Just imagining this connection to my ancestors doing the same, gives me the goosebumps. 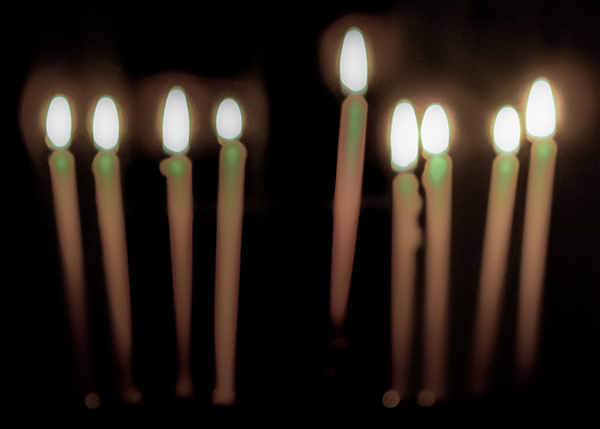 Hanukkah is called the holiday of lights, but also the holiday of freedom. Some interpretations of this are the freedom of self-expression, and the freedom to express religious beliefs and practices. Most of us take this freedom for granted, but in the Land of Israel in 165 BC, a small group of Jewish rebels led by the Priest Mattathias, fought for the freedom to express themselves as Jews against the Assyrian army. During the services in our synagogue, Rabbi Zarhy told another Hanukkah story which actually happened during our times. In 1939, at the start of the Second World War when theGermans occupied Poland, in the city called Lodz, the wife of a local rabbi lit the Hanukkah lights, and decided to photograph it. When the print was ready, she noticed that through the window, across the street was a building of the Nazi’s headquarters. On the back of the photograph she wrote: “Germans come and go, but the Hanukkah light will stay forever”. The rabbi’s family managed to escape and ended up in America. Years later, the descendants discovered this old photograph, and of its remarkable story. The Mattathias family fought for their religious freedom in their own land of Israel. They won; however, 200 years later their descendants were expelled from their homeland. Almost two thousand years later Jews came back to reclaim the small piece of land where their journey started. And today, the Holiday of Light from the ancient Land of Israel brings light into the nations. P.S. 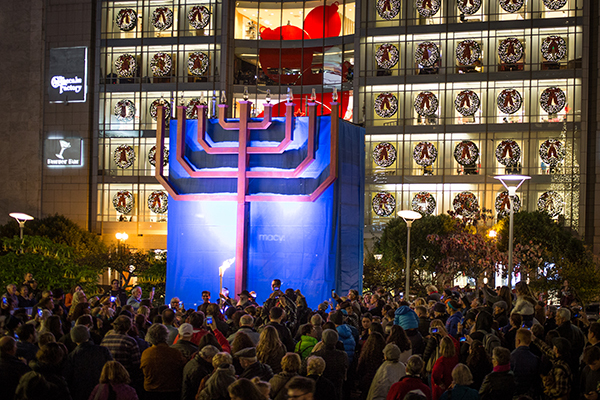 The four images for this story show Hanukkah lights in various ways. One is of Rabbi Langer with the torch in his hands is about to light the public Hanukkah in Union Square, and my two artistic renderings of the Hanukkah light. The last image was taken when Max joined his “sister” Alona when we lit the first candle (the second one called a shamash, which translates to“servant”, is used to light the other lights). Besides lighting the Hanukkiah, this is a time to give and to receive gifts. My book, “42 Encounters with Dog Lovers” will be loved by everyone. I guarantee that. Please order it on Amazon.com and Encounterspublishing.com. If you are reading this story on Friday, it is the night of the sixth light.